Tomorrow is my birthday! I LOVE birthdays, it really doesn’t matter whose it is, I just love celebrating them – much to some peoples chagrin! Those of you who follow me on Instagram and Twitter will already know this, but I’m in a play at the moment, a french farce called Boeing-Boeing by Marc Camoletti and so, my usually delirious countdown to birthday celebrations isn’t quite at it’s normal height because truthfully, I’ve just been too busy! Do you have a favourite from the list? Let me know in the comments below! Ohhh! Happy birthday! How will did you celebrate it? I love La mer cosmetics! Great selection ! Thanks Miri! I was in a play on my birthday, so the cast&crew spoiled me with flowers and a cake, I felt very lucky! So true Laura, it’s the colour that gets me the most though, I just love it! So many little favorites… I want them all! Loving the pink Mansur Gavriel bag! Hope you have a wonderful birthday! I had a great birthday, thanks a mill Jen! I know right? Love that ring!! Thanks Sarah! Girl. 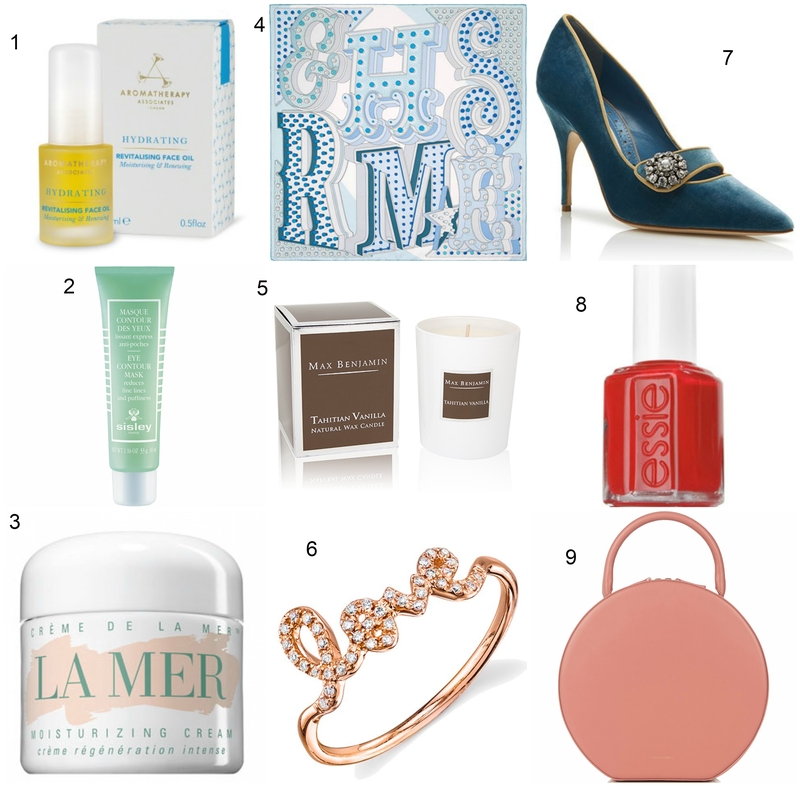 The bag and the La Mer are such winners. I hope your birthday was fantastic!